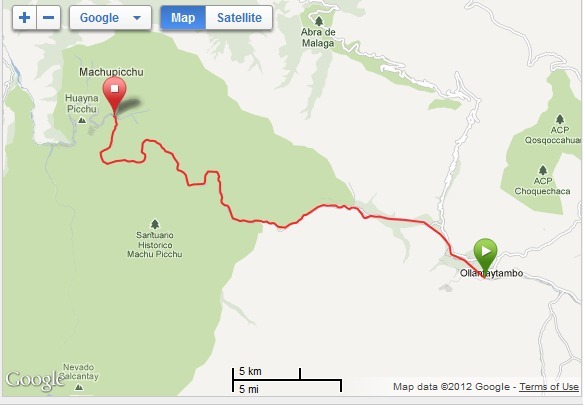 After our hike down, we returned to Ollantaytamba and the nearby train station. 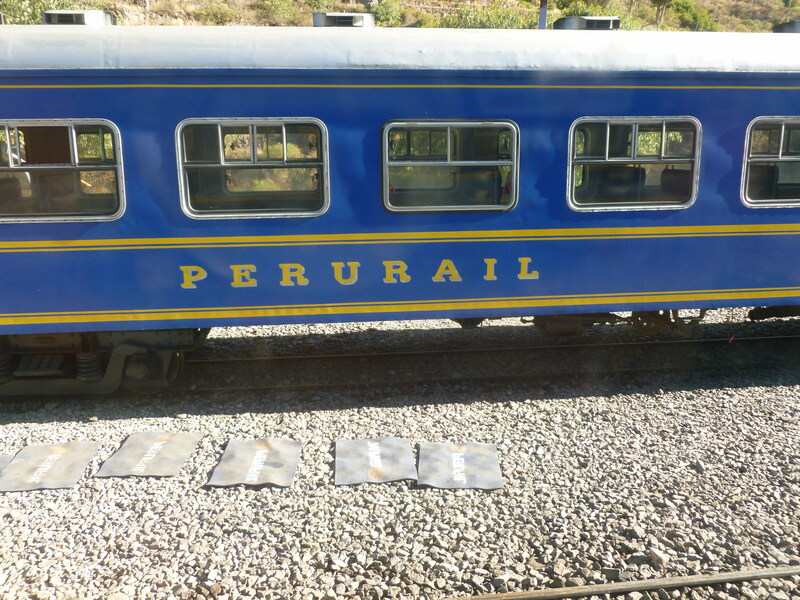 We took the “vistadome” train service from Olltantaytamba to Aguas Calientes. 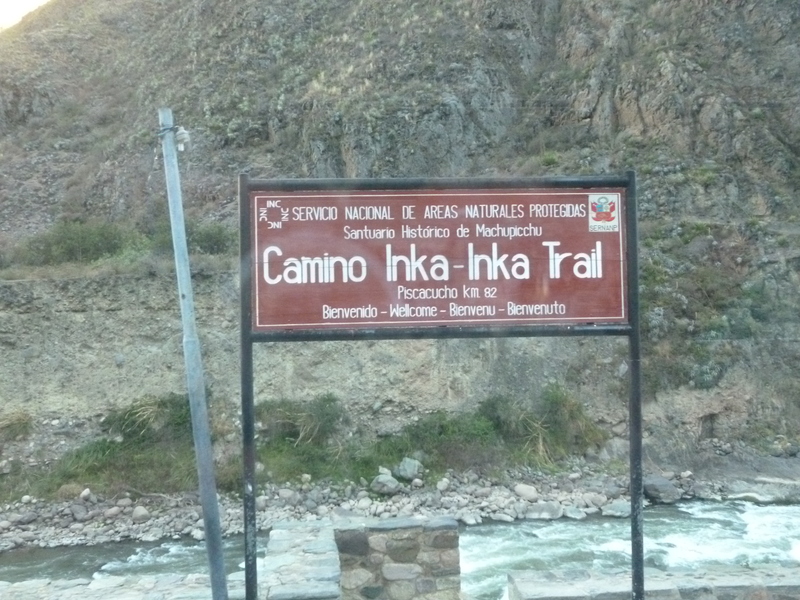 Along the route, we passed the official start of the Inka trail. The hike on the Inka trail takes about 3 days of hard hiking. It was at this moment that we were very glad we were on the comfortable train. 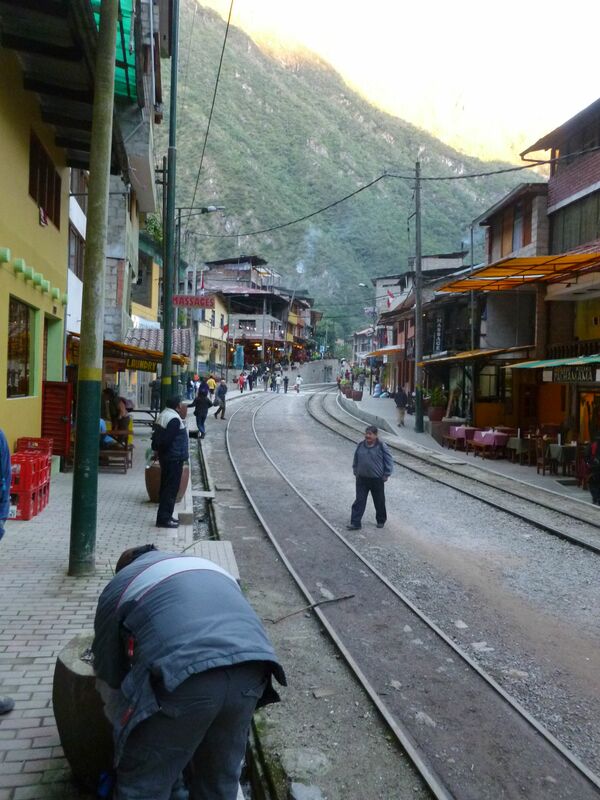 Arriving in Aquas Calientes we were greeted by the old frontier town feel. The train tracks run down the middle of town. There are 2-3 story businesses on either side.